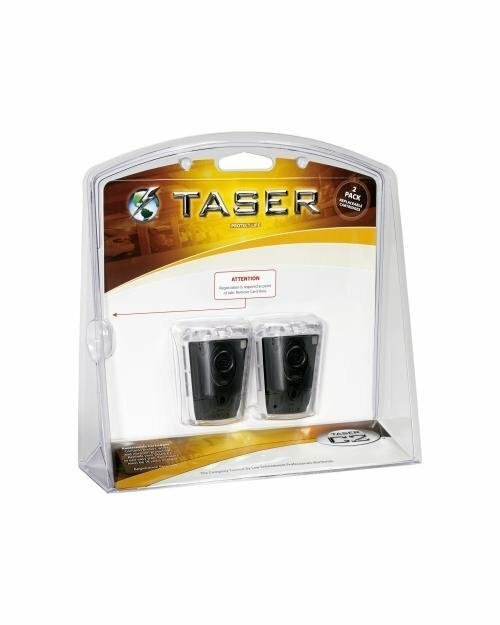 Taser Bolt, Pulse, and C2 Replacement Cartridges-Live 2 Pack. The replacement cartridges have a 15 foot range. They are black cartridges that contain a primer, gas capsule, probes, serialized tags and conductive wires. TASER Bolt, Pulse, and C2.